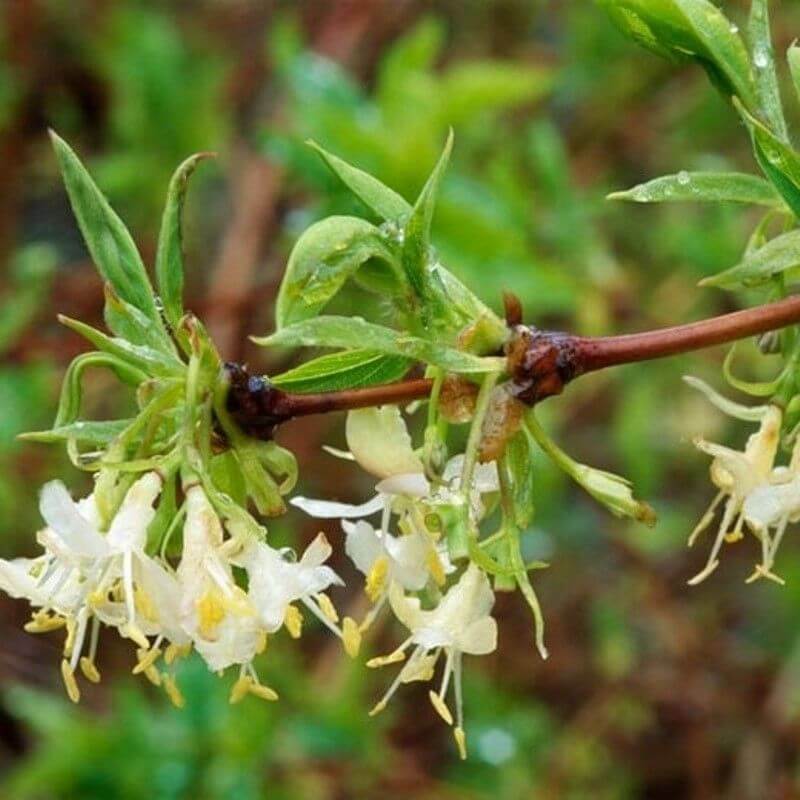 This is a deciduous & evergreen bushy shrub. It is deciduous in harsh winters and evergreen in warmer climates. It is winter flowering with small flowers that are very fragrant. Red berries follow flowering.